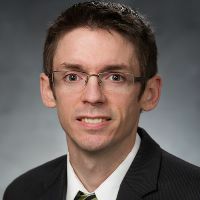 The following is excerpted and adapted from Dr. Royce Kimmon’s open textbook, K-12 Technology Integration [https://edtechbooks.org/-UeB]. It is licensed CC BY-SA 3.0 [https://edtechbooks.org/-AYY]. Technology integration models are theoretical models that are designed to help teachers, researchers, and others in the education field to think about technology integration in meaningful ways. There are many, many technology integration models that are used by different groups. Some models are very popular, while some are used by only very small groups of people, and some are very similar to one another, while others are very unique. Rather than provide an exhausting description of each technology integration model, we will provide a brief overview of a few that we believe to be most widely used or valuable to help you begin thinking about technology integration in your classroom. The models we will explore will include the following: TPACK, RAT, SAMR, and PIC-RAT. TPACK is the most commonly used technology integration model amongst educational researchers. The goal of TPACK is to provide educators with a framework that is useful for understanding technology’s role in the educational process. At its heart, TPACK holds that educators deal with three types of core knowledge on a daily basis: content knowledge, pedagogical knowledge, and technological knowledge. Content knowledge is knowledge of one’s content area, such as science, math, or social studies. Pedagogical knowledge is knowledge of how to teach. And technological knowledge is knowledge of how to use technology tools. These core knowledge domains, however, interact with and build on each other in important and complicated ways. For instance, if you are going to teach kindergarten mathematics, you must understand both mathematics (i.e., content knowledge) and how to teach (i.e., pedagogical knowledge), but you must also understand the relationship between pedagogy and the content area. That is, you must understand how to teach mathematics, which is very different from teaching other subject areas, because the pedagogical strategies you use to teach mathematics will be specific to that content domain. When we merge content knowledge and pedagogical knowledge together, a hybrid domain emerges called pedagogical content knowledge. Pedagogical content knowledge includes knowledge about content and pedagogy, but it also includes the specific knowledge necessary to teach the specified content in a meaningful way. Figure 1. 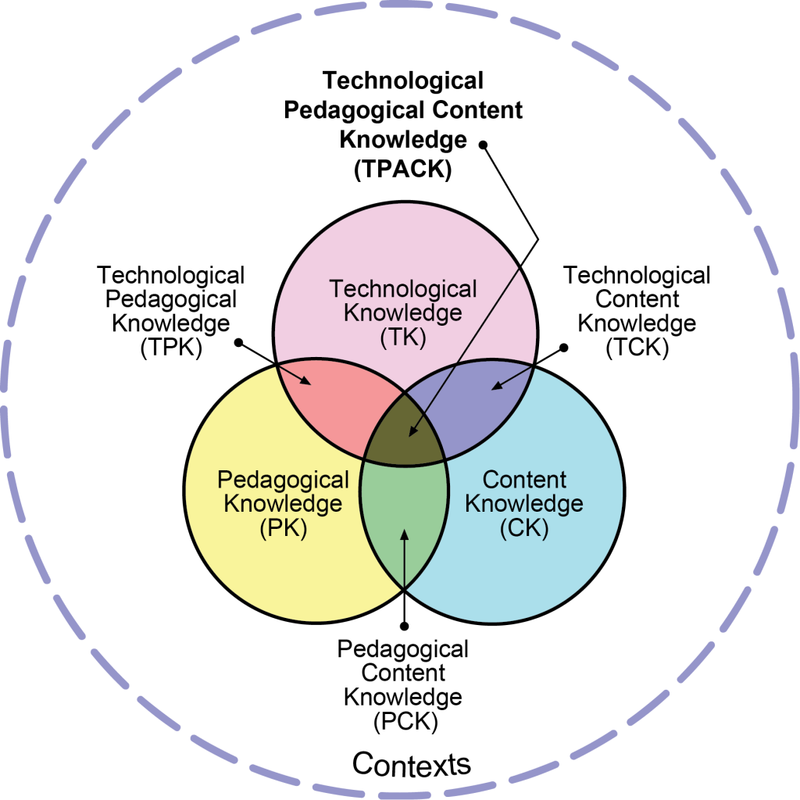 Technological Pedagogical Content Knowledge (TPACK). TPACK goes on to explain that when we try to integrate technology into a classroom setting, we are not merely using technological knowledge, but rather, we are merging technological knowledge with pedagogical content knowledge to produce something new. TPACK or technological pedagogical content knowledge is the domain of knowledge wherein technology, pedagogy, and content meet to create a meaningful learning experience. From this, educators need to recognize that merely using technology in a classroom is not sufficient to produce truly meaningful technology integration. Rather, teachers must understand how technology, pedagogy, and content knowledge interact with one another to produce a learning experience that is meaningful for students in specific situations. 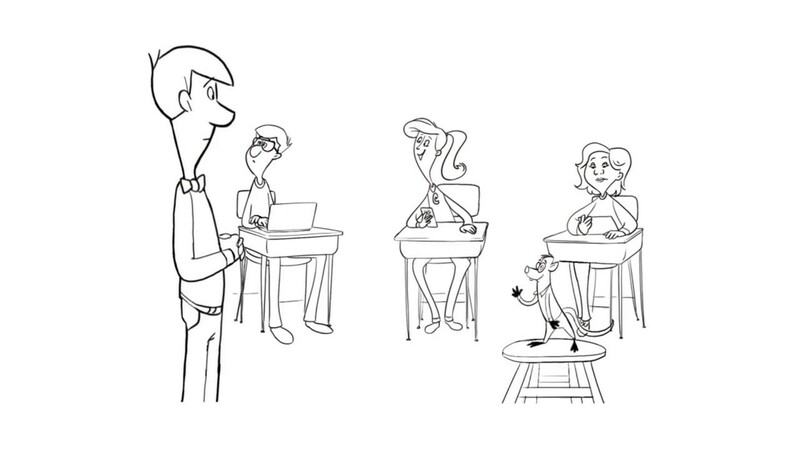 RAT and SAMR are very similar technology integration models, though RAT has been used more often by researchers and SAMR has been used more often by teachers. Both of these models assume that the introduction of technology into a learning experience will have some effect on what is happening, and they try to help us understand what this effect is and how we should be using technology in meaningful ways. RAT is an acronym for replace, amplify, and transform, and the model holds that when technology is used in a teaching setting, technology is used either to replace a traditional approach to teaching (without any discernible difference on student outcomes), to amplify the learning that was occurring, or to transform learning in ways that were not possible without the technology (Hughes, Thomas, & Scharber, 2006). Similarly, SAMR is an acronym for substitution, augmentation, modification, and redefinition (Puentedura, 2003). To compare it to RAT, substitution and replacement both deal with technology use that merely substitutes or replaces previous use with no functional improvement on efficiency. Redefinition and transformation both deal with technology use that empowers teachers and students to learn in new, previously impossible ways. The difference between these two models rests in the center letters, wherein RAT’s amplification is separated into two levels as SAMR’s augmentation and modification. All of these levels deal with technology use that functionally improves what is happening in the classroom, but in the SAMR model, augmentation represents a small improvement, and modification represents a large improvement. Both of these models are helpful for leading educators to consider the question: What effect is using the technology having on my practice? If the technology is merely replacing or substituting previous practice, then it is a less meaningful use of technology, whereas technology use that transforms or redefines classroom practice is considered to be more valuable. The provided illustration maps these two questions on a two-dimensional grid, and by answering these two questions, teachers can get a sense for where any particular practice falls. For instance, if a history teacher shifts from writing class notes on a chalkboard to providing these notes in a PowerPoint presentation, this would likely be categorized in the bottom-left (PR) section of the grid, because the teacher is using the technology to merely replace a traditional practice, and the students are passively taking notes on what they see. In contrast, if an English teacher guides students in developing a creative writing blog, which they use to elicit feedback from peers, parents, and the online community on their short stories, this would likely be categorized in the top-right (CT) section, because the teacher is using the technology to transform the practice to do something that would have been impossible without the technology, and the students are using the technology as a tool for creation. Experience has shown that as teachers begin using technologies in their classrooms, they will typically begin doing so in a manner that falls closer to the bottom-left of the grid. 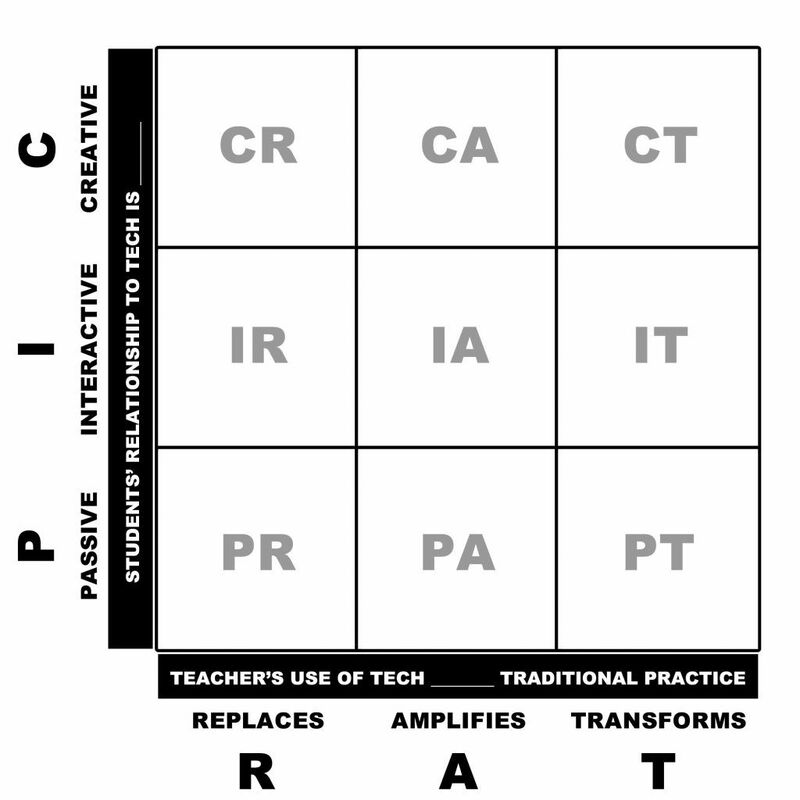 However, many of the most exciting and valuable uses of technology for teaching rest firmly in the top-most and right-most sections of this grid. 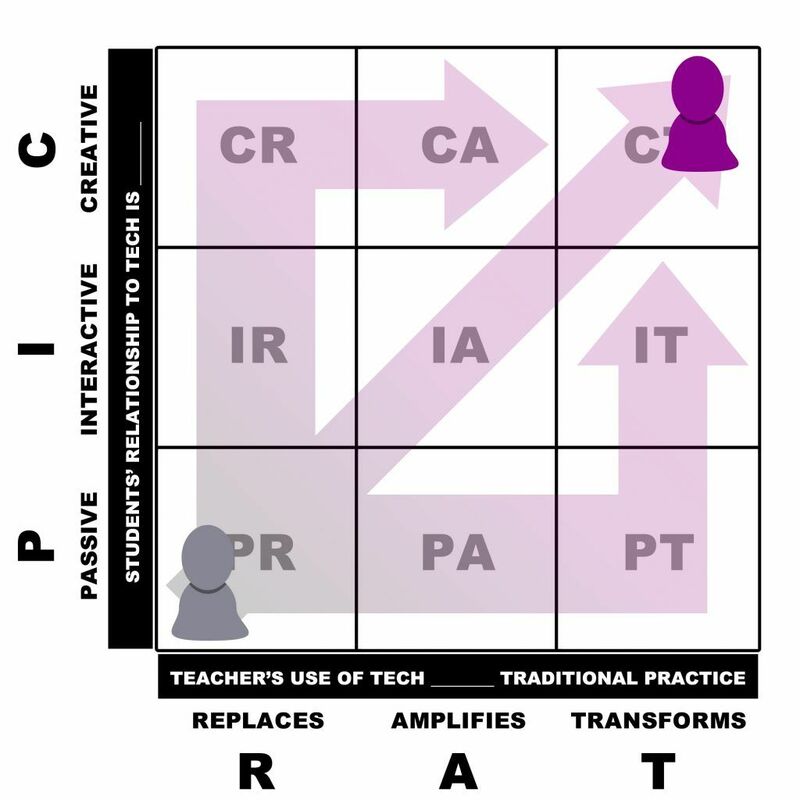 For this reason, teachers need to be encouraged to evolve their practice to continually move from the bottom-left (PR) to the top-right (CT) of the grid. Figure 4. The use of PIC-RAT. For more information on the PIC-RAT model, please view this video [https://youtu.be/bfvuG620Bto], scripted by Dr. Kimmons and Dr. Richard E. West of Brigham Young University. CC BY-SA: This chapter is released under a CC BY-SA license, which means that you are free to do with it as you please as long as you (1) properly attribute it and (2) share any derivative chapters under an open license.